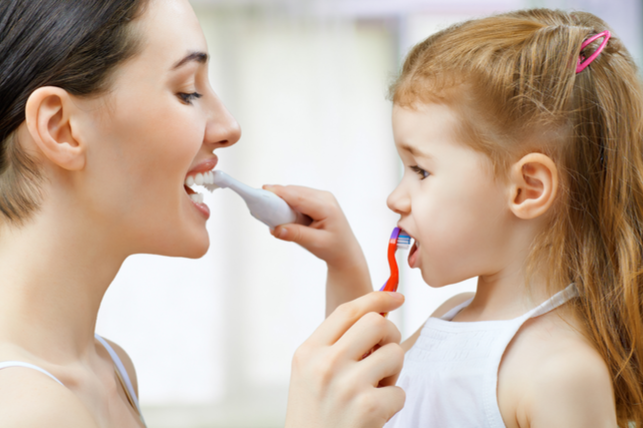 Toothbrushing may not be the most fun activity for children but it is absolutely necessary for a healthy life. 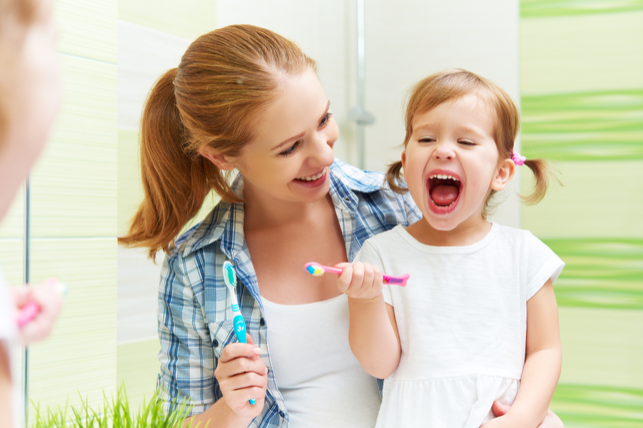 Here’s how parents can encourage their children to brush by making toothbrushing fun! For children, it can be tough to brush for two minutes at a time. This is because it’s difficult to keep young children still and focused on brushing their teeth for two minutes. You can help your child have more fun by letting them brush while watching a tooth brushing video. These educational videos help guide children through brushing their teeth, and each lasts at least two minutes. We suggest finding one that you deem appropriate for your child, and one that they will enjoy watching. An electric toothbrush or spinbrush is an appealing option for children just beginning to brush, since they require less dexterity and physical motion to operate. Additionally, most electric toothbrushes feature brushing timers which ensures that they brush for two minutes at a time. 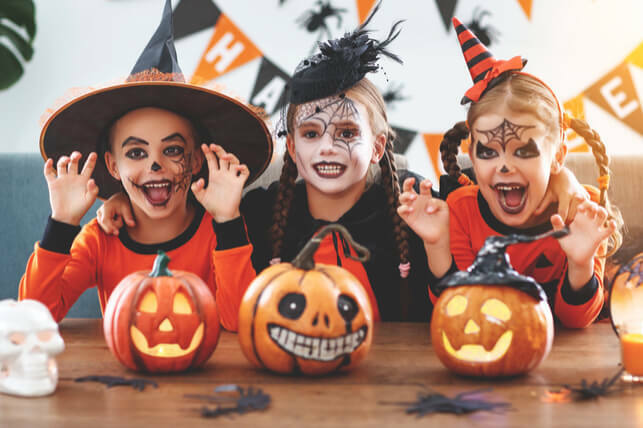 We suggest looking for an electric toothbrush specifically made for children that is easy for them to hold, and has a head that fits in their mouth comfortably. It is not necessary to go for a pricey version – just choose one your child is excited about! The American Academy of Pediatric Dentistry advises that children brush their teeth twice per day, for two minutes at a time. The time limit helps ensure that all of the bad bacteria found in plaque is scrubbed off of teeth, which prevents tartar buildup and cavities. Make sure your child brushes their entire tooth surface, including the backside of teeth – which is often neglected. Keep in mind children don’t have the proper dexterity to brush alone until approximately age 8 and until then you should help them or brush after them. Brushing isn’t all your child needs to do to maintain a healthy mouth – flossing is also very important. Debris left in between teeth can cause plaque buildup and cavities, which is why it’s essential that your child flosses once per day, and cleans below the gumline. Your child will need your help with this as well! Our office specializes in caring for children, and helping them understand the importance of oral health. If you have a reluctant toothbrusher or need demonstration on proper technique, visit our office! We can show your child how fun toothbrushing can be, and how important it is for a healthy life.